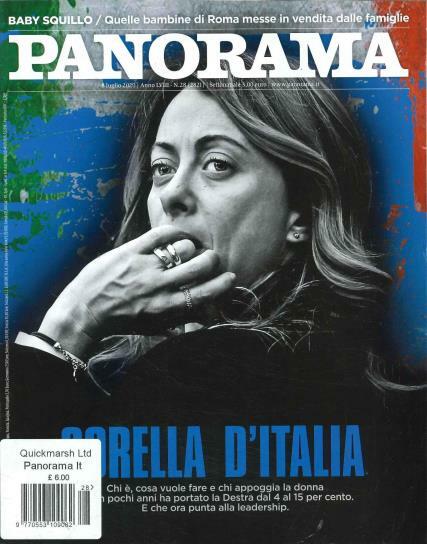 Panorama is an Italian weekly magazine covering news and updates from the world of entertainment, politics and economics. With 51 issues in a year, the Panorama magazine extensively covers the current political and cultural scenarios as they rapidly change within the period of a week. The to-the-point reporting and sharp analysis of various issues help to make this magazine the most read and loved weekly in Italy. The magazine gets the readers involved quickly by raising significant questions about the modern lifestyle and tech culture. It seeks readers to voice their opinions and votes if they are in favour of cultural topics. Along with featuring the local news, the magazine also offers a summary of news from across the world, if it is sports, economics, politics or culture.